This article is the last in a series. For links to the earlier articles, please see under Consciousness on the Articles Index page. in Buddhism, there is the pursuit of mindfulness, the first task being to observe the contents of one’s own mind, thus distancing oneself from them, creating separation. in Psychosynthesis, as noted in the second article, there is a mantra: “I have a body but I am not my body, I have feelings but I am not my feelings, I have a mind but I am not my mind. 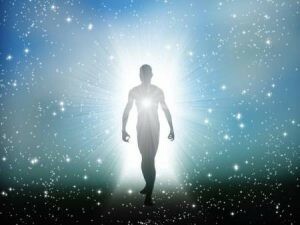 I am a centre of pure consciousness, and of will”. This process is called disidentification, the obvious purpose of which is to separate oneself from the controlling contents of the psyche. the Gurdjieffian Kenneth Walker, as noted in the third article, advocates self-observation, saying that “we should register or take note of our thoughts, emotions and sensations at the moment of their occurrence”, and refers to “the observing I”, and the Hindu concept of “the Witness”. Also in that article were Jack Preston King’s thoughts on Gurdjieff: “The driver’s job is to calm the horse (emotions), get the cart under control (the body, everyday life,) all in anticipation of the awakening of the ‘royal passenger’, the Essence”. I would add that the mind also needs to be controlled. This image is reminiscent of Arjuna, the charioteer in the Bhagavad Gita, and also appears in the Tarot deck as card 7, the Chariot. all spiritual systems use meditation, the purpose of which is to silence the chattering mind, thus establishing a stable centre of consciousness (a self? ), which frees itself from its influence. It is also worth noting in this context that self-knowledge is the foundation of all spiritual systems — “Man, know thyself” is said to have been an inscription at the Delphi Temple. Modern society finally caught up with this idea in the twentieth century which was, among other things, the century of Psychoanalysis, Carl Jung’s Analytical Psychology, therapy, work on oneself, self-help and so on. Is the consciousness which perceives itself to be suffering, neurotic, in need of help and improvement, non-existent? The concept of working on oneself implies that there is a self able and wanting to do such work. I believe that this centre of consciousness is the soul which incarnated into the body, but which became submerged into unconsciousness (metaphorical sleep) through the process of birth. The ancient Greeks had a brilliant understanding of this, saying that the Underworld (thus the world of matter) was surrounded by Lethe, the river of oblivion. 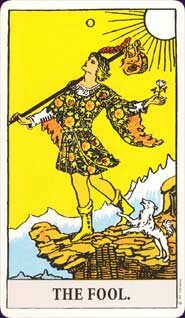 Also, this process is depicted in the first three cards of the Major Arcana in the Tarot deck (the whole series of 22 describing an ideal life from a spiritual perspective), where the Fool (the incarnating soul of the same nature as the Divine) walks off a cliff, thus falling into matter, becomes the Magician (still the potential totality of all there is), then becomes completely absorbed into the unconscious psyche (symbolised by the High Priestess). 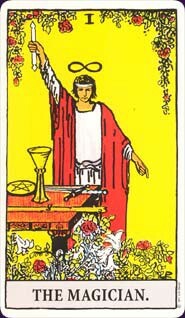 According to Gurdjieff, in Jack Preston King’s understanding, we are not born with a soul, rather its seed, called Essence (the Tarot equivalent being the Magician). As I stated earlier, it does not make any real difference which is true, practically speaking, since the end result is the same. I am happy therefore to leave this difference an open question, and readers can make up their own minds. All I would say is that, among the spiritual systems discussed, Gurdjieff’s understanding is a minority view.